Are all the South Burnett’s police stations at full strength? After being contacted by concerned community members across the South Burnett, I have submitted a Question on Notice to the Minister for Police, Mark Ryan, about police staffing levels in our region. 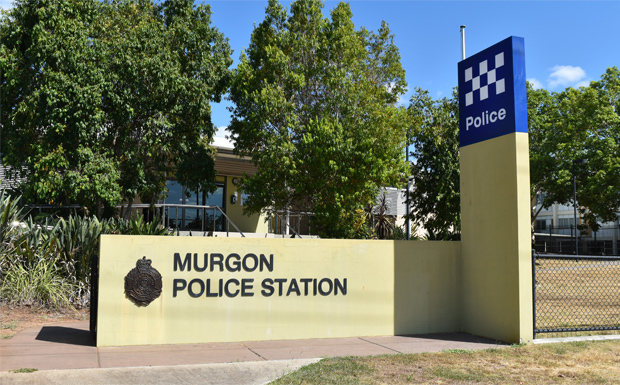 I know the police in our region are doing their very best, particularly with the crime wave which is still ongoing in Murgon, Cherbourg and Wondai. But if they are dealing with staff shortages, it just makes their jobs even harder. I have heard we have police staff being transferred between stations. I’ve also heard some stations are not currently at full strength. This is unacceptable and our community needs answers. I have asked the Police Minister to advise the actual and approved strength of full-time police officers at each of our local police stations. 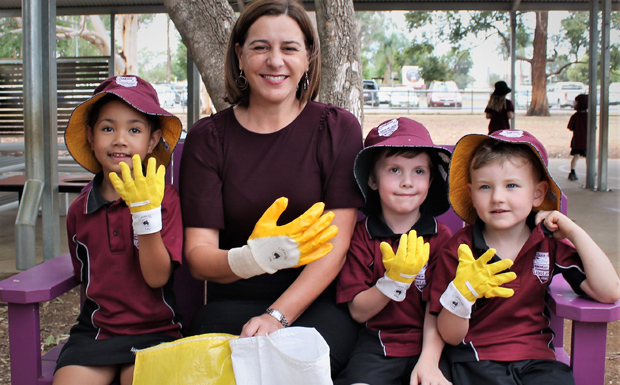 I had a lot of fun joining with the students from Taabinga State School recently to help ‘Clean Up Australia’. Thanks to the school’s Environment Leaders, Georgia and Paige, for inviting me and for the work they are doing in their important role. It was great to see all the children involved and enthusiastic about doing their bit to help our environment. While I welcome the formation of an industry group to review the cattle tick line, the significant delays in getting to this point continues to affect our graziers, especially those located on the line itself. Since the new cattle tick line was implemented in 2016, the LNP have been calling for an extensive review to ensure it is properly policed and resourced. The Palaszczuk Labor Government promised the cattle tick line would be reviewed, but has delayed action time and time again. And while Labor stalled, cattle tick infestations continued to spread in the free zone. 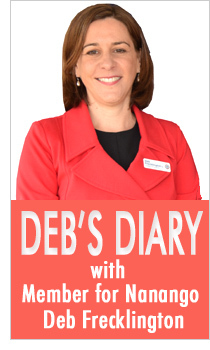 These delays showed the bush clearly isn’t a priority for the Palaszczuk Labor Government. The government must take the shackles off this industry group and allow it to work effectively on behalf of farmers and graziers. We will continue to hold this government to account to ensure it’s not just another box-ticking exercise, and positive outcomes for farmers are delivered. Legends Of League: What A Great Day! 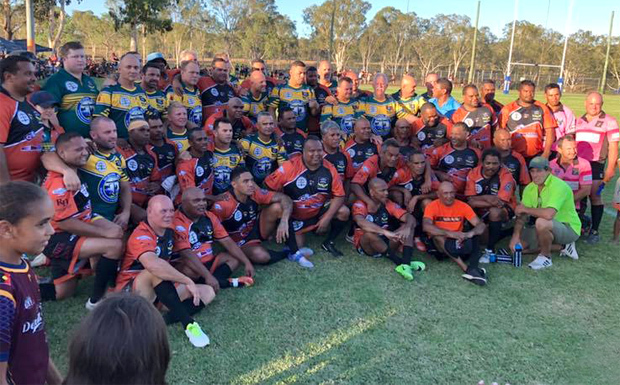 Thanks to the Legends of League for bringing the team to Cherbourg and the South Burnett. These guys spent several days prior to the big day with school kids encouraging them to play sport. Thanks also to local businesses and Cherbourg Council for pitching in. It was a fantastic event which I know the community truly appreciated. More than 50 building companies have collapsed in Queensland under Annastacia Palaszczuk’s watch. As LNP Opposition Leader, I have announced we will call a Commission of Inquiry into Queensland’s building industry if elected in October 2020 to allow Queenslanders to tell their stories. It’s the best way to clean up the industry and safeguard some of our hardest workers. The Premier promised the world when she was elected, but after more than four years she has failed to deliver. Builders are falling over, subbies aren’t getting paid, homeowners are being left devastated and 7000 sub-contractors have been left empty-handed to the tune of half-a-billion dollars while more developers risk closing their doors for good. Hard-working Queenslanders aren’t being paid what they’re owed. A Commission of Inquiry will have the same powers as Royal Commission, and it will also investigate how developers are gaming the system with the support of banks to protect both their self-interests. It will also look into the conduct of senior government figures who were warned of major collapses but failed to act. There is no easy fix, but this inquiry will allow people to tell their stories, with the key focus on sub-contract payments. 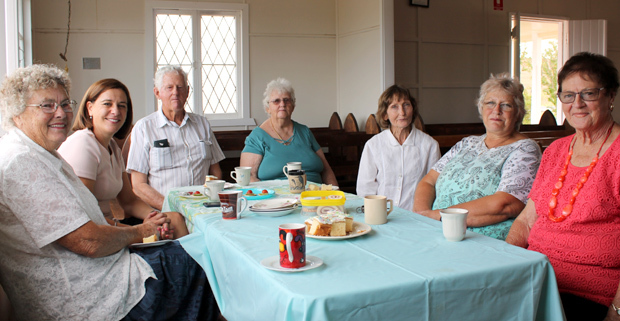 About 15 minutes north of Goomeri at Boonara you’ll find the lovely little St David’s Anglican Church. The congregation contacted me recently about problems with new line marking on the Burnett Highway outside the church. But after contacting TMR, I’m happy to report I was able to get the problem fixed. Afterwards, we celebrated with an amazing sponge cake and a cup of tea! 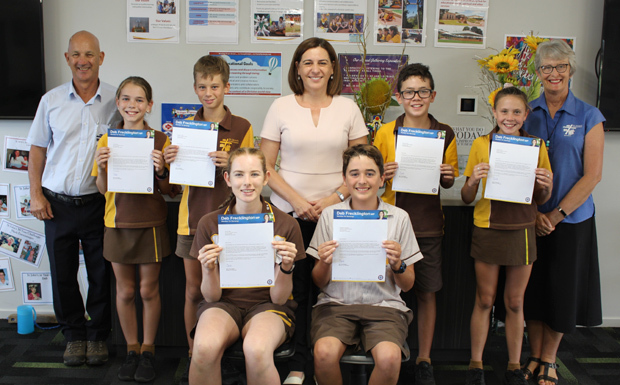 Each year I make every effort to meet and congratulate the new school leaders for every school across the Nanango Electorate. This includes a personal letter for each of the new leaders. Recently I popped into St John’s Lutheran College to farewell and thank Principal Helen Folker. At the same time, I had the opportunity to present my letters and discuss what it means to be a leader.